Attaining improved readmission and mortality outcomes for patients with chronic heart failure (CHF) continues to challenge hospital clinicians. Despite the establishment of evidence-based treatment guidelines, use of recommended, life-saving, hospitalization-reducing CHF medications has been historically suboptimal. Novel therapies that have recently entered the arena are included in current guidelines, but many clinicians are not up to date with the latest guidelines or best practices for incorporating these novel therapies into regimens for patients with CHF. This activity has been designed to meet the educational needs of cardiologists, hospitalists, and pharmacists. It may also be of benefit to primary care physicians and other healthcare providers who treat chronic heart failure (CHF). Identify how the pathophysiology of CHF relates to MOAs of newer therapies. Practice appropriate, evidence-based use of newer CHF therapies for patients with CHF. Outline treatment strategies to reduce hospitalizations and readmissions for patients with CHF in accordance with current guideline recommendations. Paradigm Medical Communications, LLC and Educational Review Systems, Inc have implemented a system to resolve conflicts of interest for each CME/CPE activity to help ensure content objectivity, independence, fair balance, and that the content is aligned with the interest of the public. Conflicts, if any, are resolved through one or more processes. 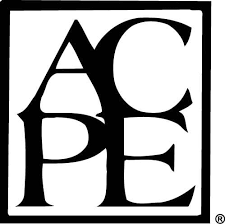 All CME/CPE content in this activity was independently reviewed to ensure that it is free of commercial bias, scientifically rigorous, aligned with the public interest, and compliant with all regulatory guidance, ACPE Guidelines, and ACCME’s Standards for Commercial Support of Continuing Medical Education. Dr. Amin has no financial relationships to disclose. Educational Review Systems, Inc staff members have no financial relationships to disclose. Paradigm Medical Communications, LLC designates this enduring material for a maximum of 1.00 AMA PRA Category 1 CreditTM . Physicians should claim only the credit commensurate with the extent of their participation in the activity. Educational Review Systems is accredited by the Accreditation Council for Pharmacy Education (ACPE) as a provider of continuing pharmacy education. This activity is jointly provided by Educational Review Systems, Inc and Paradigm Medical Communications, LLC. As accredited providers, Paradigm Medical Communications, LLC and Educational Review Systems, Inc activities must include a balanced view of therapeutic options. Use of generic names contributes to this impartiality. The use of trade names should not be viewed as an endorsement of specific products by Paradigm Medical Communications, LLC or Educational Review Systems, Inc. Complete and submit the online post-activity assessment and evaluation. A certificate of participation/statement of participation will be available for download/printing immediately following your successful completion of the post-activity assessment and evaluation. Your certificate will be saved on the Paradigm Medical Communications website and will not be available in your myCME CME History. Paradigm Medical Communications, LLC and Educational Review Systems, Inc are committed to protecting the privacy of those who participate in the activities located at www.paradigmmc.com (herein referred to as “website”). The information below describes the security of the website for safeguarding personal information and the rationale for collection and use of personal information. The submission of certain personally identifiable information is necessary to award and track the credits participants may earn after completing the program. Required items include first name, last name, degree, and email address. These items are necessary. Participants are also required to complete an evaluation of the CME activity. All evaluative information submitted is collected and retained, and used by Paradigm Medical Communications, LLC and Educational Review Systems, Inc to continuously improve the learning experience. Paradigm Medical Communications, LLC and Educational Review Systems, Inc do not transfer, sell, or share personal information with outside parties. Paradigm Medical Communications, LLC and Educational Review Systems, Inc will not otherwise disclose personal information unless required to in a legal process. Paradigm Medical Communications, LLC and Educational Review Systems, Inc staff members review individual test results to the extent necessary to record and track participants’ credits. This certified CME/CPE activity is designed using HTML5 video and audio. As you navigate the video using the supplied controls, the slides will sync to the speaker.